You’ve never seen a shark so nonthreatening. 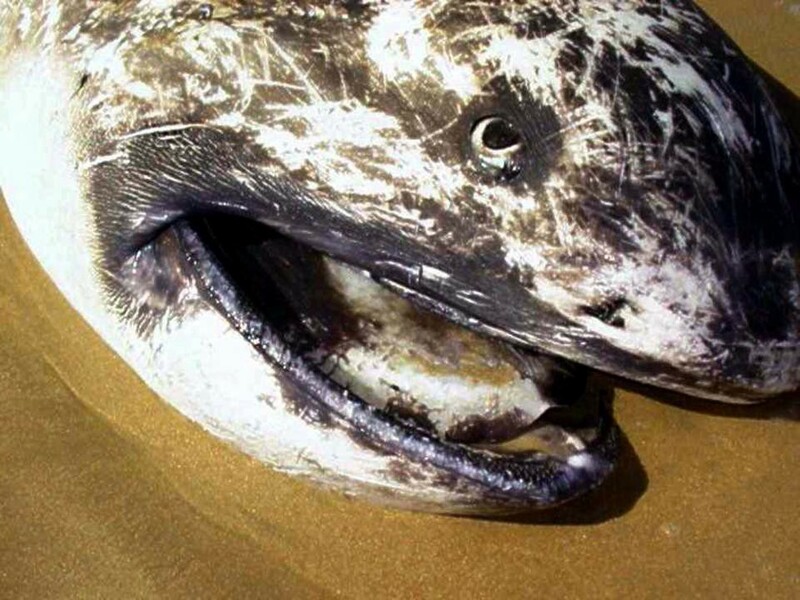 The megamouth shark is a rare, startled-looking species of ocean menace. Growing anywhere from six to seventeen feet long, it possesses a cavernous maw containing 50 rows of tiny, hooked teeth, through which it sorts all kinds of teeny ocean goodies. It is blackish-brown in color and is by far the least understood of all the sharks. It is a strange fish. When first discovered off the coast of Oahu in 1976, scientists had no idea how to classify it, so they created a new genus and family. The megamouth shark made headlines last month when a British diver managed to capture video footage of one near Indonesia’s Komodo Island. This was big news, because the species has been spotted just 102 times worldwide since its discovery 40 years ago. Adding insult to injury, the knowledge we do have paints an unflattering picture. 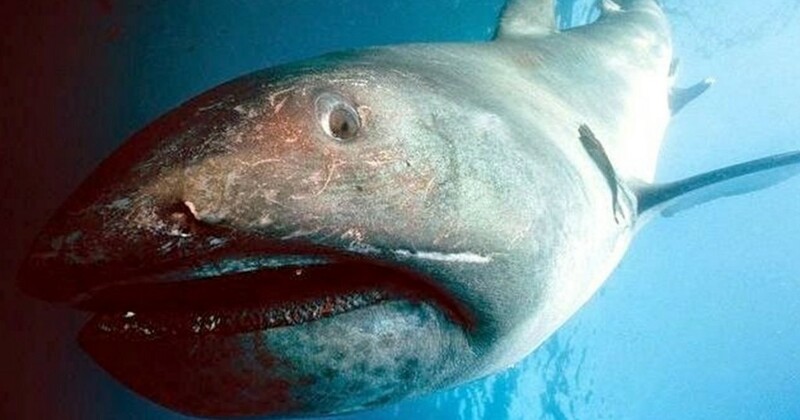 The megamouth shark may be incredibly rare, but I do not think I’d be remiss in calling it ill-suited for survival. The Florida Museum of Natural History describes it as having “a soft, flabby body and poor swimming skills.” Its clunky shape, coupled with an asymmetrical tail, soft fins and lack of keels (structures which — just as on ships — provide support and stability), contribute to the animal’s less-than-stellar mobility. On its face is stapled a permanent look of utter discombobulation, as though it isn’t quite sure what it wrought to deserve the unfairness of existence. 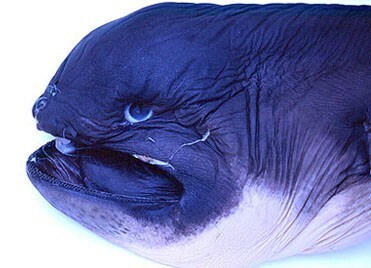 Researchers have observed megamouths attacked by both sperm whales and cookiecutter sharks (yep, they’re a thing). And what happened? The megamouth was left “swimming slowly and still rather bewildered” after a round of decidedly unwarranted bullying. Tough break for a fish. The animal is found all over the world. Scientists believe it’s diurnal, meaning it alternates between shallow and deep waters. Unlike many sharks, the megamouth does not need to be moving in order to breathe. In theory, this ability to remain stationary should aid in preventing entanglement in fishing nets. In reality, a fair amount of the relatively few megamouth shark sightings occur when they get caught. This past May, Japanese fishermen were stunned to find one of these poor creatures snagged in their nets. The shark was quickly released, only to be found dead on the ocean floor just two days later—the result of what scientists believe was capture-related stress. Since we have no idea how many megamouths exist, we cannot tell what the threat level to its populations is. The IUCN currently lists it as an animal of “least concern,” but without data, that categorization is just a hopeful shot in the dark. In general, the shark’s increasing frequency of accidental capture in Asia, sensitivity to being caught, and propensity for harassment by other big fish paints a woeful picture. No conservation efforts made on its behalf, a bad swimmer, a worse hostage: Basically, the megamouth’s got next to nothing going for it. I’d say that’s pretty concerning.